Margot’s auntie Nadia with Daisy – a mum of 2 children at The Belham. Daisy receives blood infusions every 3 weeks. 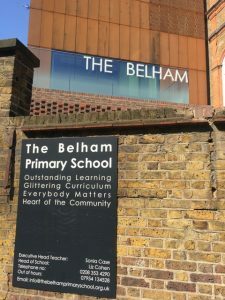 Today I attended the second of our ‘giving to help others’ assembly pilot presentations, this time at The Belham Primary School in Peckham Rye. 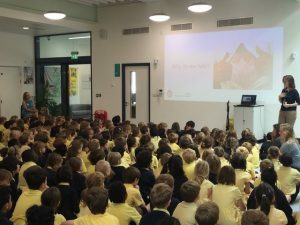 It’s a relatively new school with 234 pupils from reception to Year 3, so the youngest pupils that have seen this assembly so far. As I was sitting in the reception area waiting to be met, a lady also signed in and we got talking. 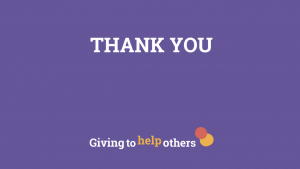 Daisy is a mother of two children at the school and she had read in last week’s school newsletter that the ‘giving to help others’ assembly was taking place. She contacted the school, as blood donation is an issue close to her heart. Daisy receives IVIG blood infusions at Guys & St Thomas’ Hospital every three weeks due to complications from having Lupus. The blood infusions replace an antibody that is missing from her blood. After contacting the school, she was invited to be part of the ‘giving to help others’ assembly, which filled me with great delight. This is exactly how Yaser and I want the education programme to be utilised. 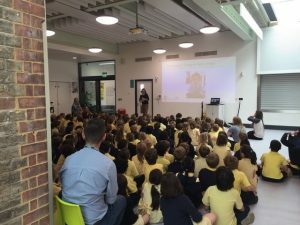 We encourage schools to edit the presentation so that it gives context to the children by linking to current school themes and how better than to relate the subject of ‘giving’ to that of giving blood which keeps one of the school’s parents in good health. It was fantastic to see the children engage when asked the various questions that start off the assembly. 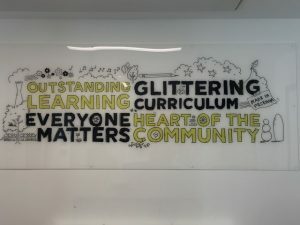 Once again the school found a link with their core value of “Being a Belhamite” and the teacher asked the pupils to remind her what the H in Belhamite stands for. They all shouted out in unison – “helpful”. Wow ! What a great link, these helpful Behamites were now learning how they could be helpful when older. There was a lot of interaction between the teacher and the pupils followed by complete silence when they were watching the animated video. After this, one of the questions the teacher asked was “why did Amira help? She didn’t have to”, to which they all replied in unison “because it’s the right thing to do”. Daisy talks about blood donation. As a link to introducing Daisy, the teacher went on to talk about the fact that she used to give blood and that she hasn’t done so in a while. She said that she will remember to make an appointment to do so again. She also mentioned that she is on the bone marrow / stem cell register (due to an Anthony Nolan visit to her sixth form) so it was great that she could relate and share that she is on standby and ready to help others. 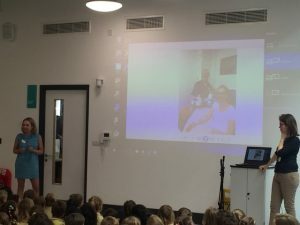 Daisy then talked about her experience of receiving blood infusions and ended by telling the children that blood donors were her real life superheroes even though she doesn’t know them. 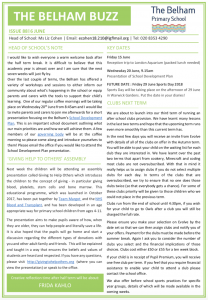 Advance notice of the assembly went out to parents in the newsletter last week; this led to Daisy contacting the school to get involved. 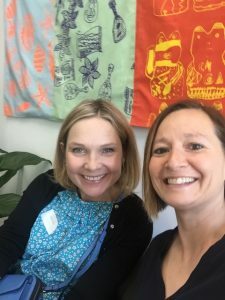 A huge thank you to Ally Sprakes who gave the assembly and to the executive head teacher, Sonia Case and the whole of The Belham Primary School for taking part and being so engaged in our pilot. I have great hopes that these Belhamite’s will go onto be our future superheroes.